SUBURBAN DES MOINES, Iowa — There’s something out there that most people never thought would put this city on the national map. You’re probably thinking of the famed Iowa caucuses, the first in the nation measurement of how people are thinking about wannabe political candidates. The caucus system was perfected in Iowa. Before presidential campaigns begin, interested parties flock to the state to see if they can get people to like them. An alumna of the Des Moines Register, I covered the gatherings of Jimmy Carter, and followed other potential presidential candidates. The truth is you take all the good things the state can give you. Then you realize you missed out on what would have been a really good story. Some people very dear to me were avid about almost everything. One thing columnist Don Kaul loved was to ride his bike. He and companions would ride bikes to work. When he was transferred to the Register’s Washington bureau, he rode his bike to work there. He and friend George Anthan (the best agriculture reporter/writer in the country) would team up to ride downtown. And, they would construct small ramps which would make it easier for them to go from street to sidewalk. I’m not sure what Washington, D.C. authorities thought about this, but those small improvements were allowed to remain. In large cities, it is common to see bike messengers. Those are the guys and girls who probably revere the efforts of Don and George. A little event was started by Don and friend John Karras. Both were riders and they thought it would be a great idea to ride across the state. If you watch any television, you probably have seen an ad of a guy saying Liberty Mutual insurance should be for you. This guy says he believes in customizing everything. He points to his bike, the handle bars, the water bottle holder. He also says he customizes his calves. I have a feeling the calves of Don Kaul were pretty customized. The little event started by Don Kaul and John Karras was named the Register’s Annual Great Bike Ride Across Iowa (RAGBRAI). If you’re feeling adventurous, Google it. This small event, now 45 years old, is known by people from all over the country. Presidential candidates have taken that ride, so they could say they dipped their bicycle tires into the Mississippi River at the end of the ride. A friend from days gone by, Mike McCurry, says he took that ride with Bruce Babbitt, of Arizona. He dipped his bike tires into the river. He said it was the most fun he had ever had, he, a veteran in the field of politics. McCurry went on to be press secretary to Bill Clinton. I can’t say that I paid full attention to the growth of RAGBRAI. But I recently looked it up, because I was thinking of making a contribution to the event. Don Kaul passed away recently, and people were posting photos of a monument which will be put up in Des Moines, honoring him and the co-founder. There, all “Googled” out, is a web page with links and photos and anything you could imagine. If you want to get in on the 2019 RAGBRAI, it’s best to register now. It’s only $175, for a full week. The route for RAGBRAI has been posted. Towns along the route go all out to provide services. Trucks accompany the riders, so equipment can be transported. There is an organizational meeting for the ride, believe it or not, today. Jan, 26, 2019. All of this reminds me of the incredible, overly merchandised events elsewhere. You want to go to an Ohio State University football game, be advised to hold onto your wallet or purse, because vendors will want to capture any loose money. Instructions for RAGBRAI tell people the rules for the ride. It even says everything you need to know about the purchase of alcohol. Oh. So gone. The innocent old days. I loved the innocence of people eager to participate in a clean, wholesome event. I had some friends who questioned why I would want to live in a place so out of it, as Iowa. Turns out, Iowa was ahead of its time. RAGBRAI is now so renowned it is listed on Amazon, Google and Etsy. If you really want to be with it, get your bike, pamper your customized calves, and take on RAGBRAI. 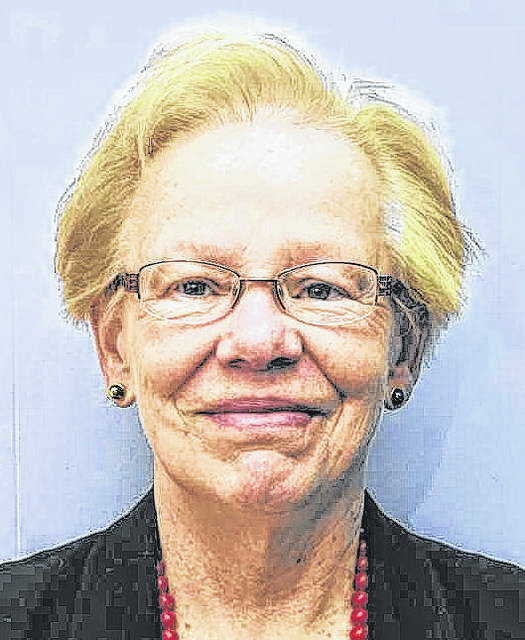 Tell them Louise Swartzwalder, Des Moines Register alumna, sent you. Members from Team Rumcake, of Texas, and the Pscyclepaths, of Iowa, celebrate along the Mississippi River after completing RAGBRAI in Davenport on Saturday, July 28, 2018, in eastern Iowa. 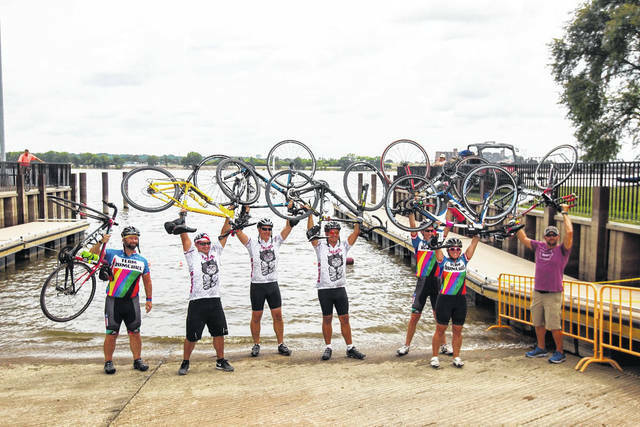 https://www.thebellvillestar.com/wp-content/uploads/sites/39/2019/01/web1_0728-davenportdip-001.jpgMembers from Team Rumcake, of Texas, and the Pscyclepaths, of Iowa, celebrate along the Mississippi River after completing RAGBRAI in Davenport on Saturday, July 28, 2018, in eastern Iowa.